1. Our newsletter "The Fifth Leaf" which is published monthly except July, August and December and e-mailed to members. Each issue is full of "how to" information as well as other information about rose culture. Click here current issue. 2. 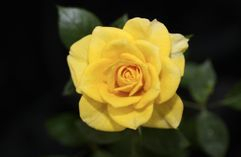 Each member is permitted to participate in our annual rose show and any other rose competitions during the growing season, which are held at our regular meetings. 3. Access to our Consulting Rosarians when answers to questions are needed. 4. Monthly meetings with programs on a variety of rose topics as well as other gardening tips and techniques. Meetings are held on the third Wednesday of each month at 7:00 p.m. except for July, August and December. The meeting location is Building 4, Room 401, City of Redding Corporation Yard, 20055 Viking Way, Redding, CA. To print out a membership application, click here.